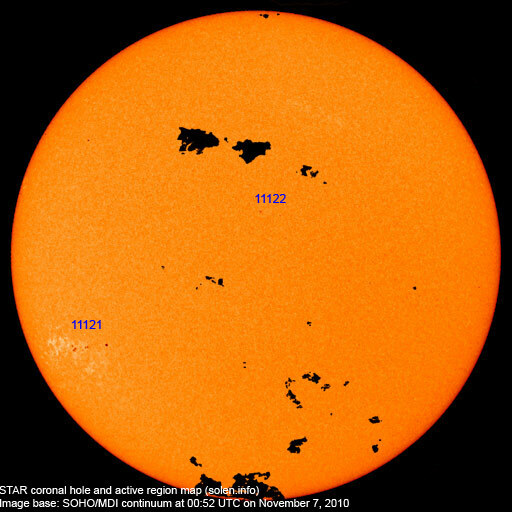 Last major update issued on November 7, 2010 at 06:10 UTC. 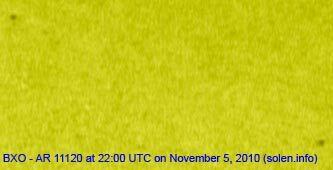 The geomagnetic field was very quiet on November 6. Solar wind speed ranged between 270 and 356 km/s. Solar flux measured at 20h UTC on 2.8 GHz was 88.6 (up 12.7 over the last solar rotation). The planetary A index was 1 (STAR Ap - based on the mean of three hour interval ap indices: 0.8). Three hour interval K indices: 00000101 (planetary), 00001211 (Boulder). 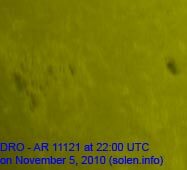 Region 11121 lost the rudimentary penumbra in the trailing spot section, however, the region remains very hot. Further M class flares are possible. 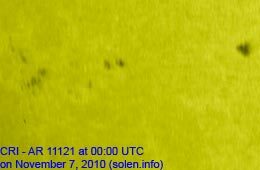 Flares: C2.0 at 02:38, C4.5 at 04:47, C1.6 at 08:32, major M5.4/1N long duration event peaking at 15:36 and C1.4 at 19:11 UTC. The major flare was associated with a CME, however, with no LASCO images available and STEREO images indicating only a small CME, it's too early to predict whether or not the CME could reach Earth. 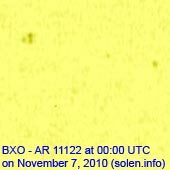 New region 11122 emerged early in the day in the northern hemisphere near the central meridian. November 4-6: No obviously Earth directed CMEs were seen in LASCO or STEREO images. 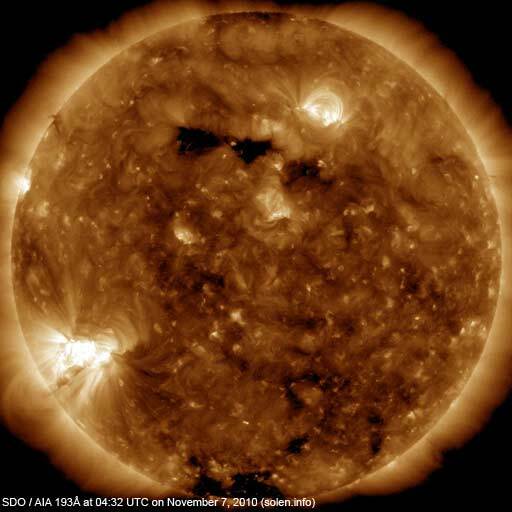 The geomagnetic field is expected to be quiet on November 7-9.